“The month of Ramadan (is that) in which the Quran was revealed, a guidance for the people and clear proofs of guidance and criterion. So whoever sights (the new moon of) the month, let him fast it; and whoever is ill or on a journey - then an equal number of other days. Allah intends for you ease and does not intend for you hardship and (wants) for you to complete the period and to glorify Allah for that (to) which He has guided you; and perhaps you will be grateful.” (2:186). Ramadhan is a month of countless blessings and virtues. 1) In this month, the Quran was revealed, and the angel Gabriel used to come to make the Holy Prophet Muhammad (pbuh) recite the Quran, from beginning to end. 2) In this month, there is the night of Qadr, which is better than 1000 months. 3) In this month, the reward of a good deed is equal to the fardh of another month. 4) This is the month of patience and the reward of this patience is Paradise. 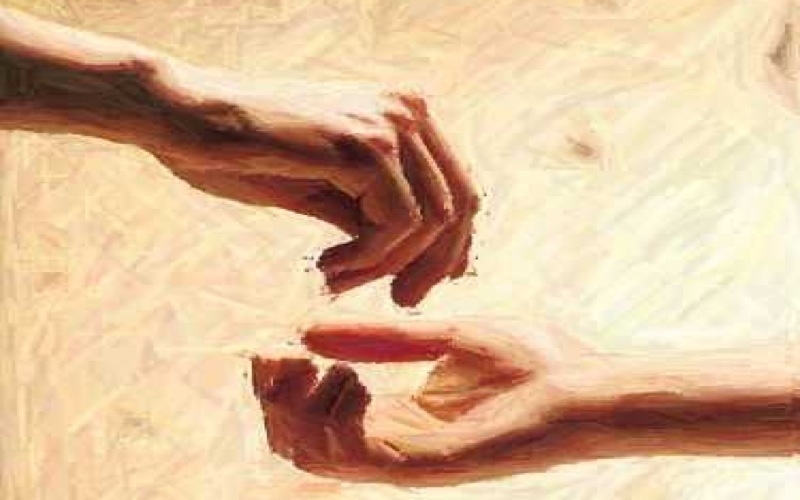 5) This month teaches the lesson of kindness towards others. 6) In this month, the first ten days are of mercy, the second ten days are of forgiveness and the last ten days are of being freed from hell. 7) The month of Ramadhan is a month in which the mercy and blessing of Allah (swt) descend upon us continuously if we are truly seeking the mercy of Allah and His countenance. “O you who believe! Fasting is prescribed for you, as it was prescribed for those before you, so that you may guard (against evil).” (2:184). By the immense grace of Allah, we are again witnessing another blessed month of Ramadan. It is a month like no other month as it is the very special and blessed month of Allah, for Allah. From the moment that this exceptional month approaches us and welcomes us in its arms, the emotion becomes stronger and the heart becomes more sensitive. Every sincere Muslim waits impatiently for this great day. This impatience to welcome the month of Ramadan is found in the need for the believer to purify himself both physically and spiritually. If a Muslim expresses himself with these words, certainly, he is undoubtedly aware of the true value of this month and the many benefits it contains. This is the month of blessing, whose beginning is mercy, the middle forgiveness, and whose end is freedom from hell-fire. It is a month which includes a night better than a thousand months and reward of good deeds is multiplied. 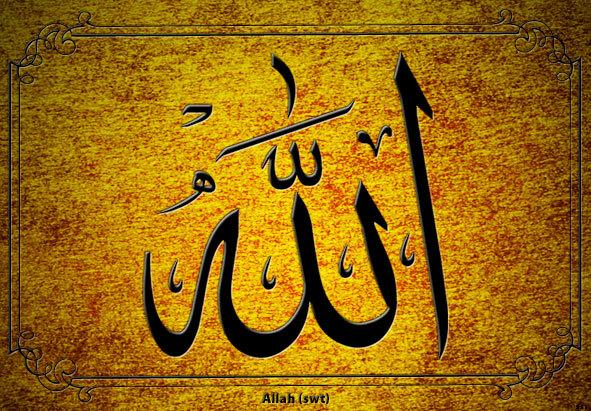 The substance of the believer increases and favours coming from Allah the Exalted is constantly bestowed upon him. This is the month of endurance and forgiveness. And the reward of endurance is paradise. When the servant realizes all that, his heart softens and his chest is opened to the acceptation of the truth. Thus, submission becomes his priority throughout this intense month of blessings. 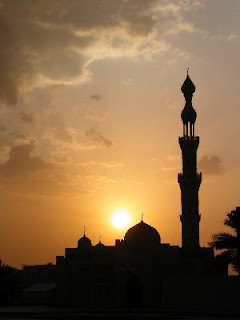 Is the time not ripe for the Muslim to make manifest his joy, appreciation and gratitude to Allah the Exalted who kept him alive until the arrival of Ramadan? Every Muslim is recommended to welcome this month with repentance and with the preparation to fast and to spend his nights in prayer with good intention and strong determination. Is there a goal better than this? Due to the imminent arrival of Ramadan, I thought it would be beneficial to talk about the approaches that Satan uses against us, at every moment of our lives to get us away from the remembrance of Allah (Zikrullah). Insha-Allah, this can be for all of us - myself first - a humble reminder and contribute to our spiritual preparation for the month of Ramadan, the aim being, of course, that when the time comes, Insha-Allah, we maximize the best of these blessed days. 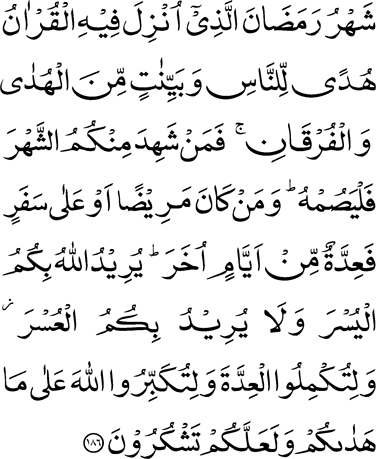 - Through the negative impact of his acts of disobedience: “…assault them with your cavalry and your infantry…”; verily, all those who acts in disobedience to Allah make up the cavalry and infantry of Satan. “‘Because You have put me in error’, said (Satan), ‘I will surely sit in wait for them on Your straight path., then I will come to them from before them and from behind them and on their right and on their left, and You will not find most of them grateful (to You).’” (7: 17-18). 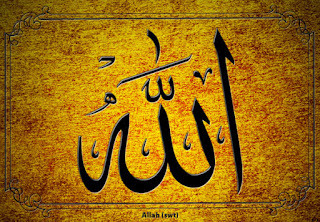 Alhamdulillah, Summa Alhamdulillah, in less than two weeks we shall Insha-Allah be blessed once again with the coming of the month of Ramadan, the month of Allah wherein He has ordained all His submitted servants to observe fasting and to observe His Remembrance more than in any other month so that they may be admitted into His mercy and proximity. Like you all know, before the month of Ramadan, there is the month of Shaban which we are currently living and which is also an important month in the life of a Muslim. 5. Nun for Nur – Light. It is in the month of Shaban, the eighth month of the Islamic calendar that our beloved Holy Prophet Hazrat Muhammad (pbuh) used to prepare himself physically, morally and spiritually to welcome the month of Ramadan. 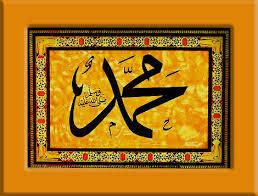 He (pbuh) said: “Many people are unaware of this month’s significance; it is between Rajab and Ramadan. In this month the deeds of people are lifted to the Lord of the worlds. I like my deeds to be lifted while I am in a state of fasting.” (Nasai). This Hadith gives us the notion to distinguish the Obligatory from the Voluntary, for in another Hadith found in An-Nasai and narrated by Hazrat Umm Salama (ra), it is reported that the prophet (pbuh) would not fast any month of the year in full except Shaban and he used to join it to Ramadan. This means that as a man used to fast on a regular basis, the Holy Prophet Muhammad (pbuh) would occasionally also observe the fast and join it to the first and complete days of Ramadan, or he would prefer to skip fasting the ending days of Shaban and fast only in the month of Ramadan as it was not an obligatory act, but rather a voluntary act. 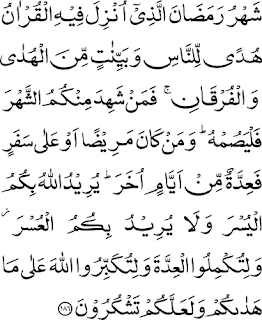 But he liked honouring the month of Ramadan by beginning his preparations for it in Shaban. In addition to fasting, Nabi Kareem (pbuh) used to maximise his time in additional prayers (Nafl Salat), supplications (dua) and Remembrance of Allah (Zikrullah). Furthermore, in many ahadiths though not in the famous Sahih Hadith books, Hazrat Muhammad (pbuh) has been reported to give the importance to the night of mid-Shaban. Alhamdulillah Summa Alhamdulillah, my Rab again gives me the opportunity to continue on the same subject-matter of last Friday’s Sermon. Furthermore, as Islam teaches us, we must stress on the rights of the poor for we must regard them as our brethrens. Thus, a person should not be deprived of that which he has acquired by the exercise of his talents. The competition which is the result of a divergence in talents and capacities is essential for the progress of the world; but that those who are in possession of the wealth of a nation are bound to allot a certain portion of it, fixed by Islam, towards the welfare of the poor, and to employ the balance towards objects of public utility rather than towards the gratification of personal desires; that is to say, that they ought to prefer the happiness to be derived from the distribution rather than that to be derived from the hoarding or squandering of wealth. The teachings of Islam stand unique in this respect. 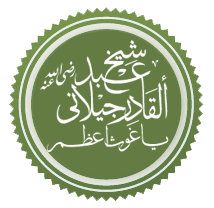 Islam recognises and upholds the principle of private ownership, but it also recognises that no man can be rich without a contribution of the labour of others, and it therefore explicitly enjoins that out of the wealth of the rich a portion should be set apart and spent through the government for the welfare of the poor as compensation for the contribution made by the poor towards its production. It also enjoins upon the State the duty of providing for all its people the necessaries of life and the means of instruction. With regard to international relations, they can never be put on satisfactory basis till it is realised that nations and Government are as much subject to the dominion of morals as individuals. Indeed, most international disputes are the result of the false doctrine which prevails that Governments are not bound to conform to the moral standard expected of individuals. For the peace of the world it is necessary that the subjects of each state should cooperate with their respective Governments. There can be no objection to their taking measures to demand and safeguard their rights, but in so doing they must not adopt a course of conduct which is calculated to disturb the public peace or to undermine the authority of the Government, or which is objectionable from a moral viewpoint. So long as there are people who believe sincerely in some religion or other, and the world is not composed entirely of men who use religion as a cloak to be donned on ceremonial occasions, religions differences are bound to arise. True harmony would be established only when the world, or the majority of its people, were united by the restrictions of one common faith.